On a day when the Kansas City Business Journal retracted its earlier endorsement of the proposed half-cent sales tax for medical research, the Civic Council of Greater Kansas City pitched another $100,0000 onto the huge pile of money being spent to try to pass the measure. The Civic Council — whose members are primarily the CEOs of the area’s largest businesses and the managing partners of the most prestigious law firms — has now invested $700,000 in the campaign. 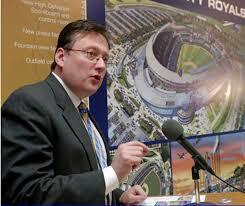 And still, not once, to the best of my knowledge, has a member of the Civic Council shown up to speak in favor of it. It’s always people representing the Civic Council. Even Jackson County Executive Mike Sanders, who championed the idea of putting the proposal on the ballot, has abandoned the effort, at least publicly. Another contribution that was reported to the Missouri Ethics Commission today was $20,000 from the St. Luke’s Foundation. That brings the total St. Luke’s investment to a whopping $70,000 — $40,000 from St. Luke’s Health System and $30,000 from the foundation. St. Luke’s Health System, of course, is one of three institutions that would share $36 million a year in new sales tax proceeds, if voters were to approve Jackson County Question 1 on Nov. 5. 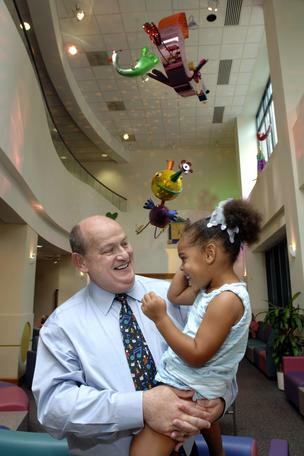 The other chief beneficiaries would be Children’s Mercy Hospital and Clinics and UMKC. Tension Envelopes and the Health Alliance of MidAmerica, $10,000 each, and Blue Cross and Blue Shield of Kansas City and the Kansas City Chiefs, $7,500 each. The view from this web perch, however, is that the nearly $2 million that the proponents probably will end up spending is headed down the tubes. The latest setback for the Citizens for Research, Treatments and Cures campaign committee was the Business Journal’s capitulation. The weekly endorsed the proposal in mid-August, about two weeks before the county legislature even voted to put the measure on the ballot. In Friday’s edition, the paper said that its editorial board had had concerns about the proposal initially but that “enthusiasm for the overall goal of building on the area’s existing life sciences efforts” eclipsed those concerns. “But a closer examination of the issue brings us to new ground as an editorial board,” the editorial went on to say. Well, thank God. And let’s give the editorial board credit for admitting it was wrong. …Here is a list of the cures committee’s major contributors as of today, Friday, Oct. 25. That’s a total of $1.71 million. The next deadline for a full disclosure report with the Missouri Ethics Commission is 5 p.m. Monday. You can see this story and much more about the proposed half-cent sales tax at stopabadcure.org. With the proponents of Jackson County Question 1 having lost what little momentum they had early on, I’ve been watching closely to see if the eye-popping contributions to the Citizens for Research, Treatments and Cures campaign committee would fall off. You know, at some point, even the very rich people and well-to-do companies have to wonder if they’re throwing good money after bad. But, no, it appears that the big bucks are continuing to flow fairly steadily. The largest, recent contribution to the cures committee came from Children’s Mercy Hospital, which tossed an additional $100,000 into the kitty last Friday, after a September contribution of $100,000. Another recent, significant contribution came from the Burns & McDonnell engineering company,, which added $25,000 to an earlier gift of $50,000. The cures committee is now well over $1.5 million in contributions. Interestingly, even though these hefty individuals and wealthy corporations (uh, I mean, wealthy individuals and hefty corporations) have put in hundreds of thousands of dollars, the Civic Council leaders themselves never appear at neighborhood meetings to explain why they want the taxpayers to fund their extravagant pet project. Instead, they send out their minions, often lawyers and others who are expecting to get business deals or advisory board appointments, if the measure passes. The civic leaders don’t like a street fight, which this campaign has become. They’d rather sit back in their homes — several of which are in Mission Hills and Leawood — and throw more money onto the pyre. And, yes, that money will be going up in flames; this monster is headed for a hard fall. Many people seem to think that the Civic Council is involved in some sort of conspiracy designed to further enrich its individual members. I tell people I do not believe that is the case. Furthermore, and more specifically, the Civic Council wants to make sure that the organization calling the shots is an institution of its own creation — the Kansas City Area Life Sciences Institute. The institute’s original business plan, finalized in 2000, called for KCALSI to “build a critical mass in life sciences research in Kansas City.” In its plan, the institute set a goal of coordinating the expenditure of $500 million a year on medical research in the Kansas City area. The institute now has 10 “stakeholder” institutions (not including the Stowers Institute for Medical Research, which dropped out somewhere along the way). The stakeholders (including Children’s Mercy Hospital, St. Luke’s and UMKC, which would receive tens of millions of dollars a year in sales-tax proceeds) spend more than $550 million a year on medical research, according to the KCALSI website. Despite having reached the $500-million-a-year threshold, however, the fact is that the life sciences institute has not grown and prospered as the Civic Council had envisioned. It has not approached anything close to the “critical mass” it talked about in 2000. With just three employees and depending exclusively on its “stakeholder” institutions to keep it relevant, KCALSI has failed to establish itself as a key player in the medical-research industry. The Civic Council is seeking to prop up and inflate the life sciences institute, making it the viable, prosperous hub around which most of the major medical-research institutions in the Kansas City area would revolve. To me, it’s simply a matter of the Civic Council being determined to reach a long-sought goal — but at taxpayers’ expense, not the private sector’s. Once again, it is clear that wealthy, influential individuals and big corporations would rather gamble with public money than their own. The half-cent-sales-tax proposal on the Nov. 5 ballot in Jackson County is risky and extravagant, and it deserves to be voted down. 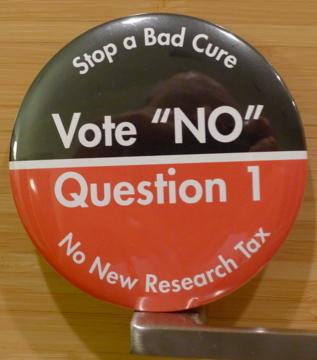 The first of three Town Hall meetings sponsored by Question 1 opponents, including Committee to Stop a Bad Cure, will be held at 6 p.m. tonight at the Mid-Continent Library in Independence. The address is 317 W. U.S. 24. Everyone is welcome. Hors d’oeuvres will be provided. Peanuts! Hot dogs! Yard signs!…Yard signs? Yep, they’re in! This is the day many of you guys have been waiting for — Yard Sign day. Marcus Leach and I picked up an order of 500 this afternoon from Gill Studio in Lenexa. Marcus is with Citizens for Responsible Research, a campaign committee financed almost exclusively by Brad Bradshaw, a lawyer and physician from Springfield. My Committee to Stop a Bad Cure works loosely with his committee. Marcus is working on behalf of Bradshaw’s committee. Anyway, I like the signs a lot, particularly the words “$800 MILLION TAX,” which is the total amount (at a minimum) that the proposed half-cent sales tax for “translational medical research” would raise. I planted the first sign in my yard yesterday afternoon. I have 200 signs; Marcus kept 100 for his committee’s distribution; and 200 are going to the League of Women Voters. Any of you who would like one or more, contact me by email — jim.fitzpatrick06@gmail.com. 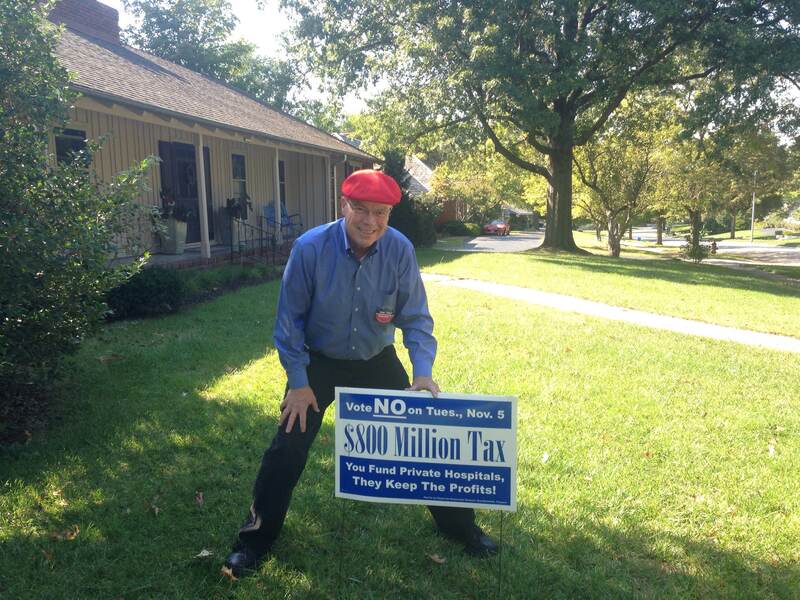 Let’s plant these yard signs and stake out our turf….NO ON JACKSON COUNTY QUESTION 1. St. Luke’s Health System made two $10,000 contributions within the past week, bringing its total contribution level to $40,000. In addition, St. Luke’s Foundation has given $10,000. Is it any wonder that St. Luke’s is able to dump $50,000 or more into the election? The private, nonprofit hospital would love to get its hands on $8 million a year of taxpayer funds for 20 years. Not that it needs it, of course, because the hospital probably is generating tens of millions of dollars more than it spends each year, as it is. Other large contributions in recent days: Mariner Holdings, an investment advisory firm in Leawood, $25,000, and Kansas City Southern Railway, $10,000. The CEO’s of Kansas City Southern and Mariner Holdings undoubtedly are members of the Civic Council, an organization of the area’s top business and law-firm leaders. The Civic Council does not reveal its list of members. As an organization, the Civic Council has donated $600,000 to the cause, and, yet, oddly, the organization never sends one of its members or leaders out into the community to speak in support of Question 1. It always sends minions, usually lawyers from the Polsinelli firm, which is in line to do a significant amount of legal work for the proposed Translational Medicine Institute of Jackson County. The cures committee has raised $1.5 million or more.